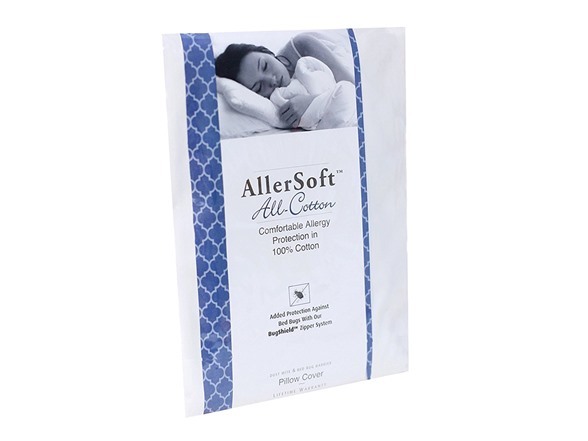 Keep dust mites, bed bugs and other skin allergens from ruining your good night’s sleep with the Allersoft 100% Cotton Dust Mite and Allergy Control Pillow Encasement. 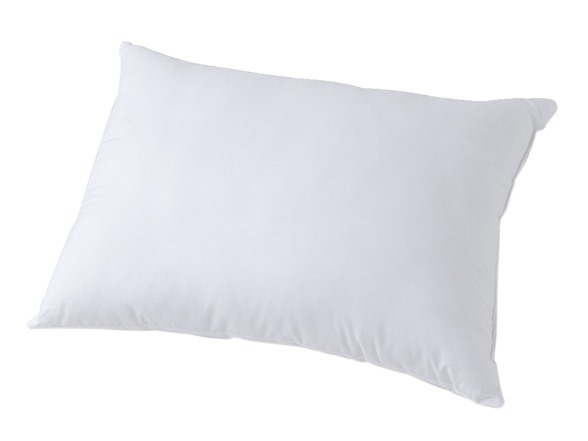 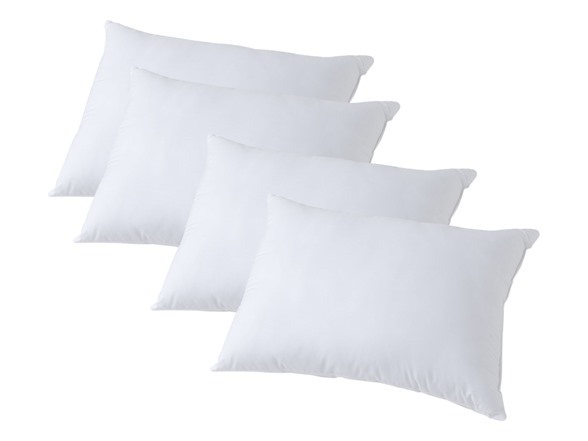 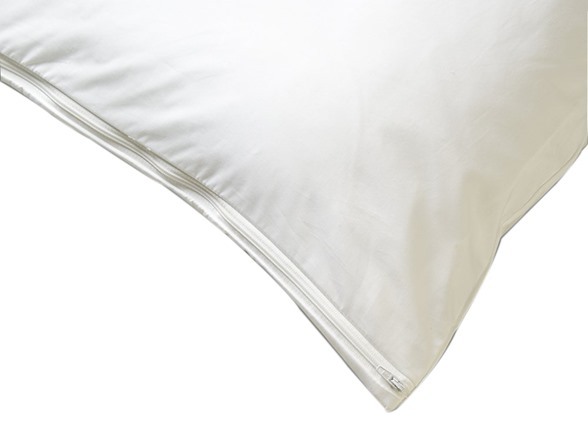 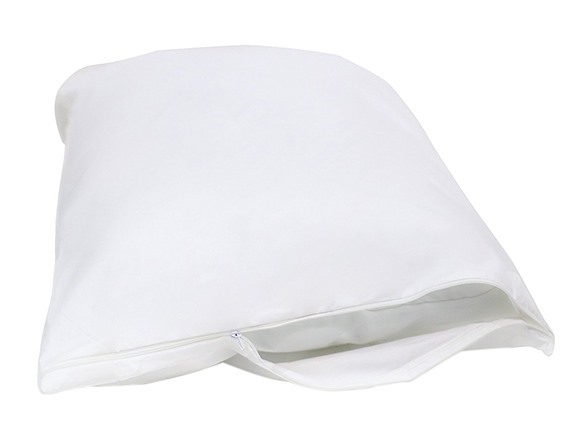 This breathable cotton pillow cover is cool and comfortable, with a durable super-tight weave that keeps allergens out. 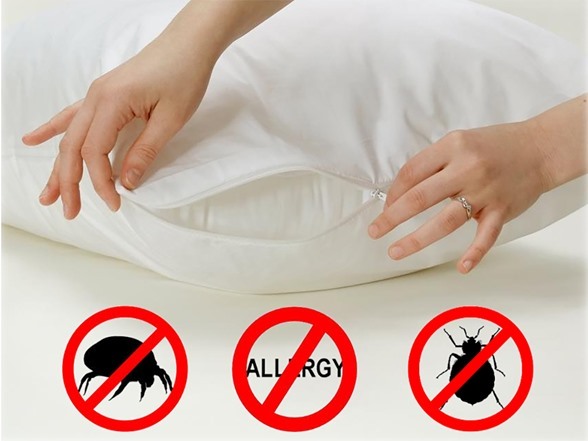 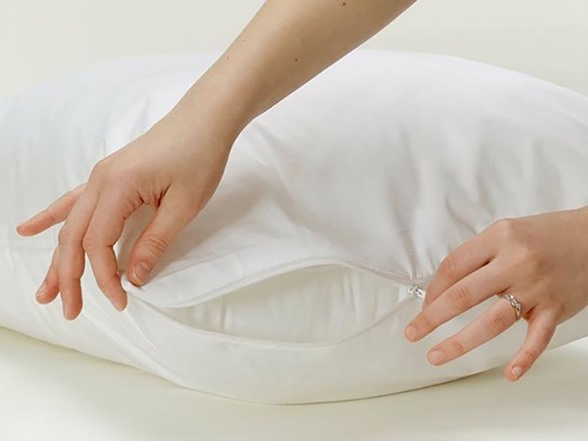 A locking zipper provides extra protection, preventing bed bugs from entering your pillow while you sleep. 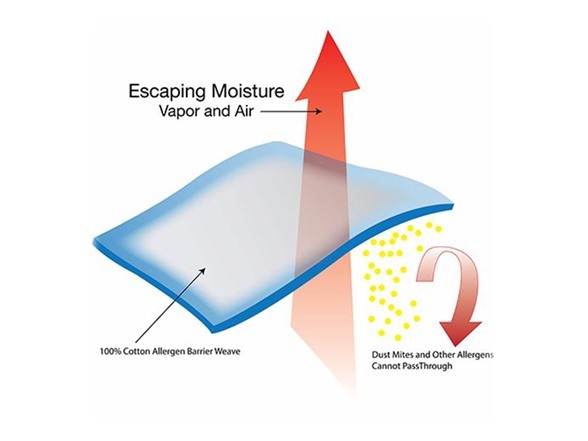 There is no urethane or membrane on the back of the fabric which gives it that cool, smooth feeling you get with your best cotton sheets. 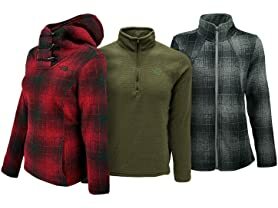 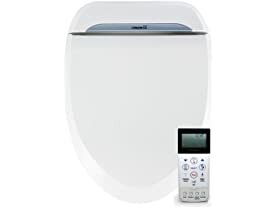 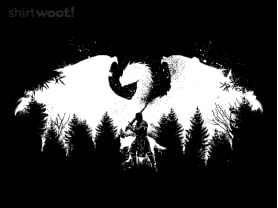 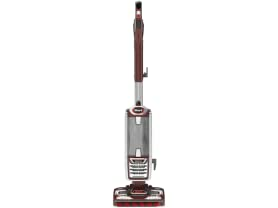 It is easy care, machine wash and dry.